Summer is arguably the most delicious time of year, right? I love that you can get watermelon, all sorts of berries, and so many other wonderful fruits and vegetables straight from the farmer’s market. 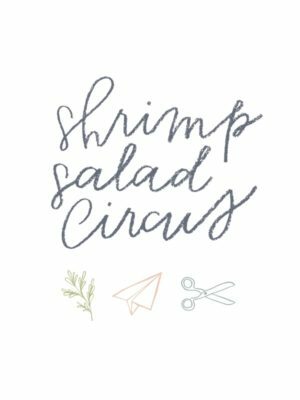 Whenever possible, buying produce that’s in-season is really the way to go — of course it’s better for the environment, but I also think it just tastes better to eat it when nature meant for us to. 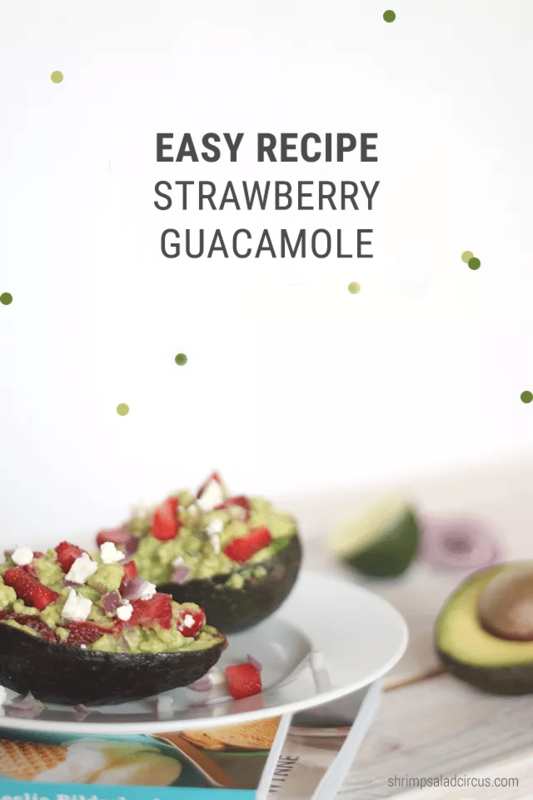 This strawberry guacamole recipe capitalizes on the availability of fresh summer avocados and juice strawberries for a fresh twist on a fiesta staple. 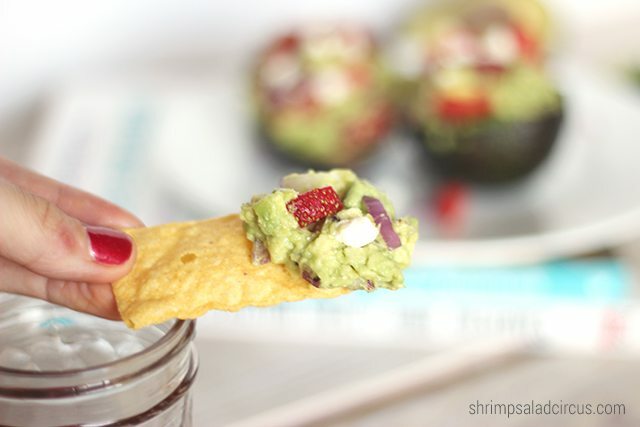 It’s delicious with margaritas or white wine and served with tortilla chips or topping a bed of romaine lettuce. 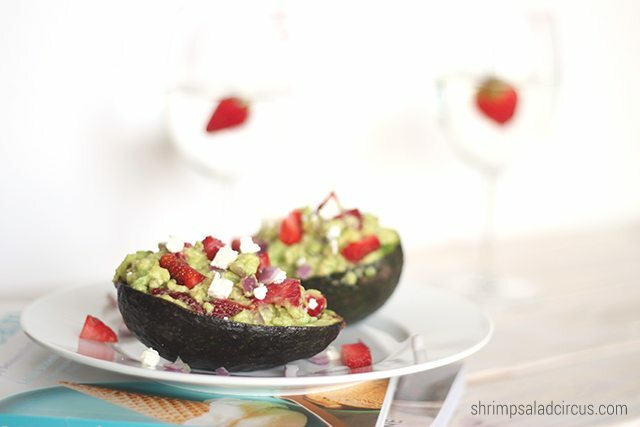 Halve the avocados, scooping out the inside and setting the shells aside for later. 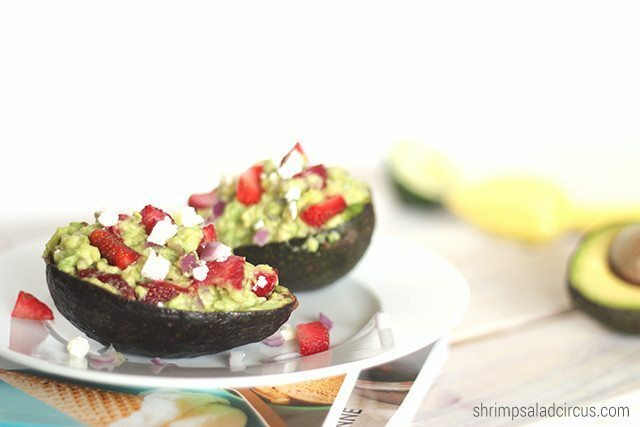 Mash the avocado in a bowl with the juice of two limes. 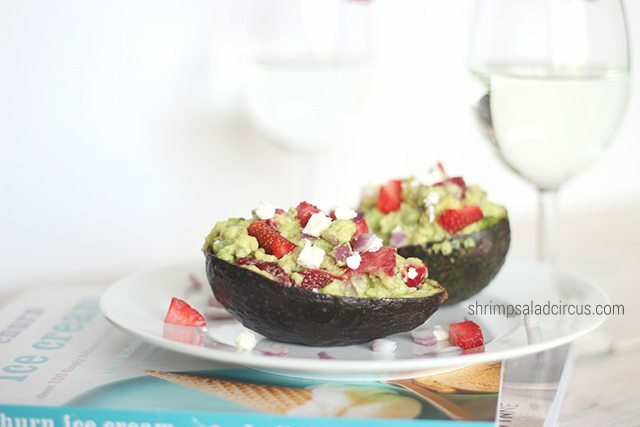 Mince the garlic clove, and mix it into the avocado with salt, pepper, and cumin to taste. 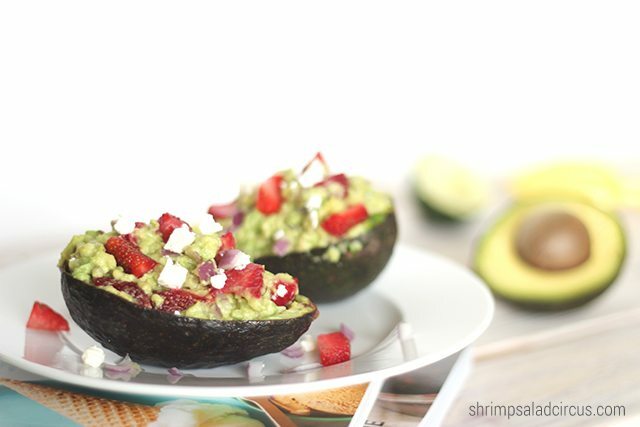 Coarsely chop the strawberries and onion, and fold them into the avocado mixture. Add a small handful of torn cilantro, to taste. 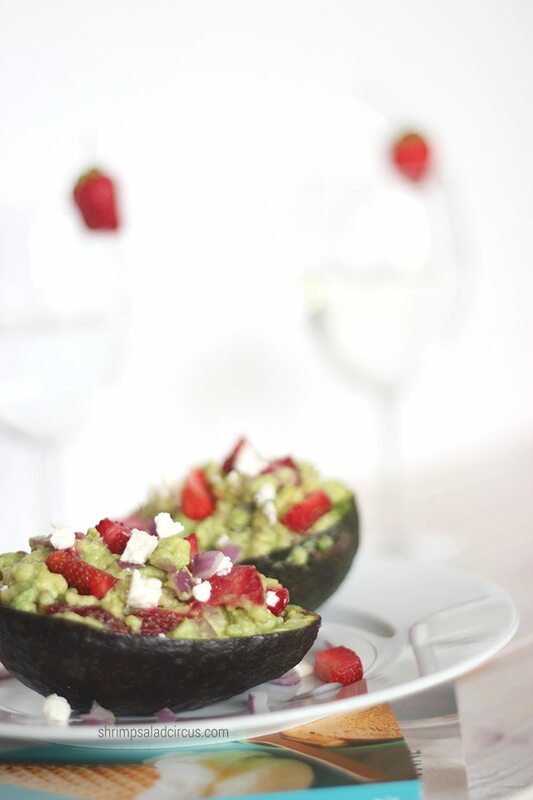 Place a scoop of guacamole into each avocado shell, and top with feta and a sprinkle of chopped strawberry. 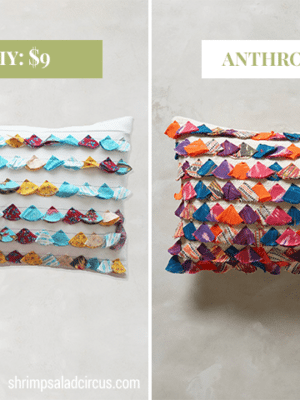 leshrimp featured by lauren conrad!